Summary: Royal Blood are a ferocious, hard hitting live band - who now have an album to match. Hard hitting duos are getting a lot of attention in recent years. 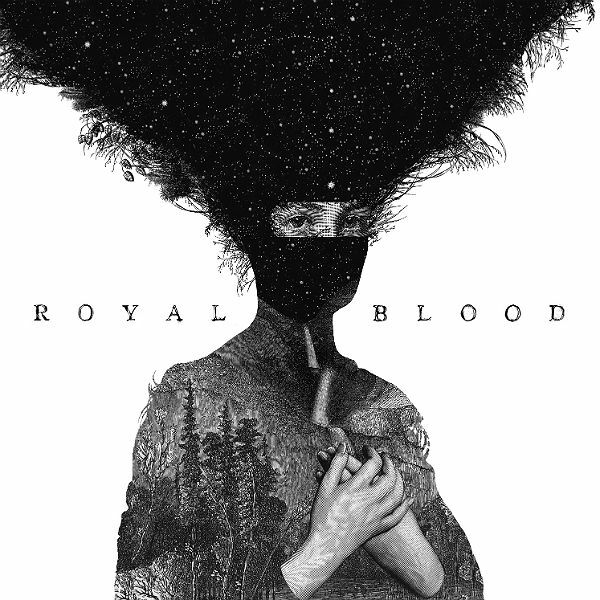 The White Stripes, Death From Above 1979, The Black Keys and more recently ROYAL BLOOD. The Brighton duo have been attracting huge crowds on the smaller stages to this years summer festivals and with an album length at just 32 minutes, fans have been getting a full taster of their music at the live shows. Its the punchy ‘Out of the Black’ which kick starts the album. Its high tempo distorted guitars with crashing drums lie somewhere between DFA79 and The Black Keys; however maintaining a sense of uniqueness. Mike Kerr, the lead vocalist and guitarist in the band has a distinct British vocal, pitched up against the drumming of Ben Thatcher, the album isn’t messy or too noisy – it’s within it’s limits. Whilst every track has a ‘this could be a single’ feel about them, ‘Figure It Out’ is the album stand-out track. It’s structure feels like their are more than two instruments being played (a trick many duo aim to achieve, but often fail at delivering). The album maintains is ferocity, as if being delivered in front of a live audience – whilst its heavy, it is very accessibly and easy to listen to – former single ‘Little Monster’ is a finely composed, catchy track. It’s difficult for a great, ferocious live band to translate the energy into a piece of recorded music. Yet, Royal Blood have been able to effectively. Whilst the album is a modest 32 minutes, it doesn’t go somewhere it shouldn’t. It remains hard-hitting, ballsy and a superb rock album. If you missed them over the summer, give this alum a listen – it may just blow some sense into you.